Some places just steal your heart, and Cannon Beach along the Oregon Coast is one of them for me. 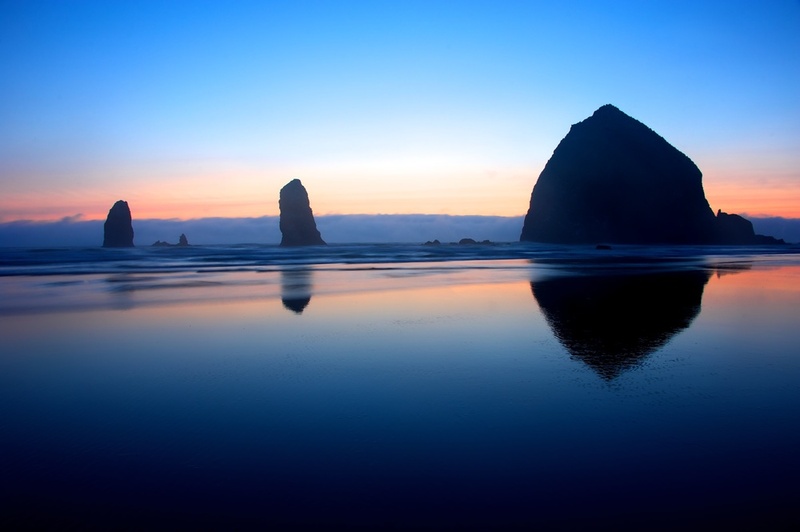 You just can't deny the incredible beauty of the coastline here, and no spots are more well-known around here than Haystack Rock. Haystack Rock is a 235 foot tall monolith which, as you can see pretty plainly here, is just a short stroll from the beach (though access onto it is not permitted). We shot there all through sunset, into golden hour and blue hour, and eventually late into the night where we watched the Perseid meteor shower and shot star trails. In short, it was freaking incredible!